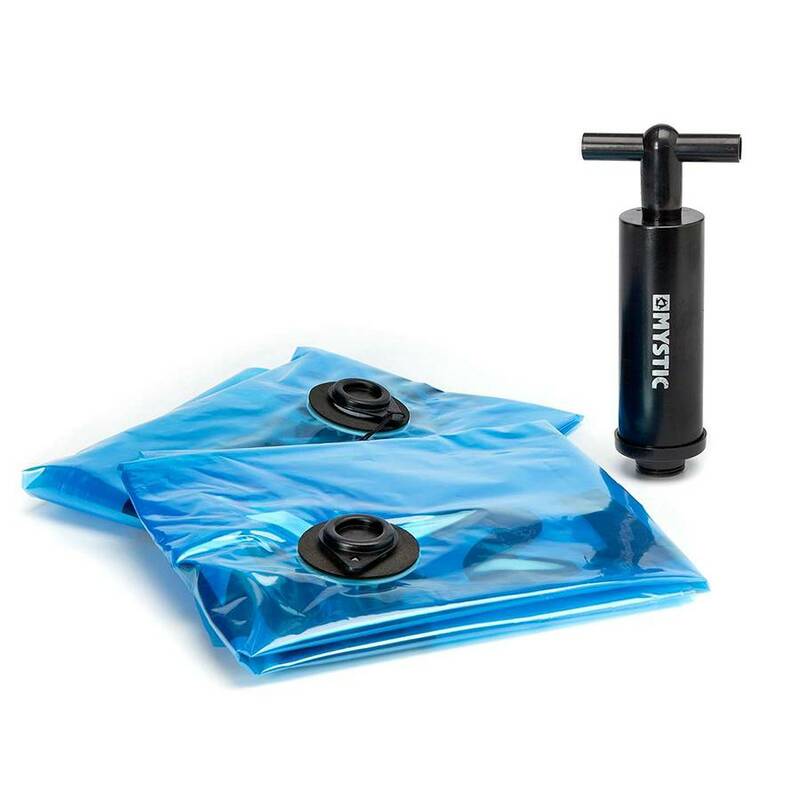 The Mystic Kite Vacuum Compression kit is designed specifically for kite surfing, kite boarding and snow kiting inflatable and foil kites. You can easily reduce the size of up to three kites to take on your travels without the need of a vacuum. 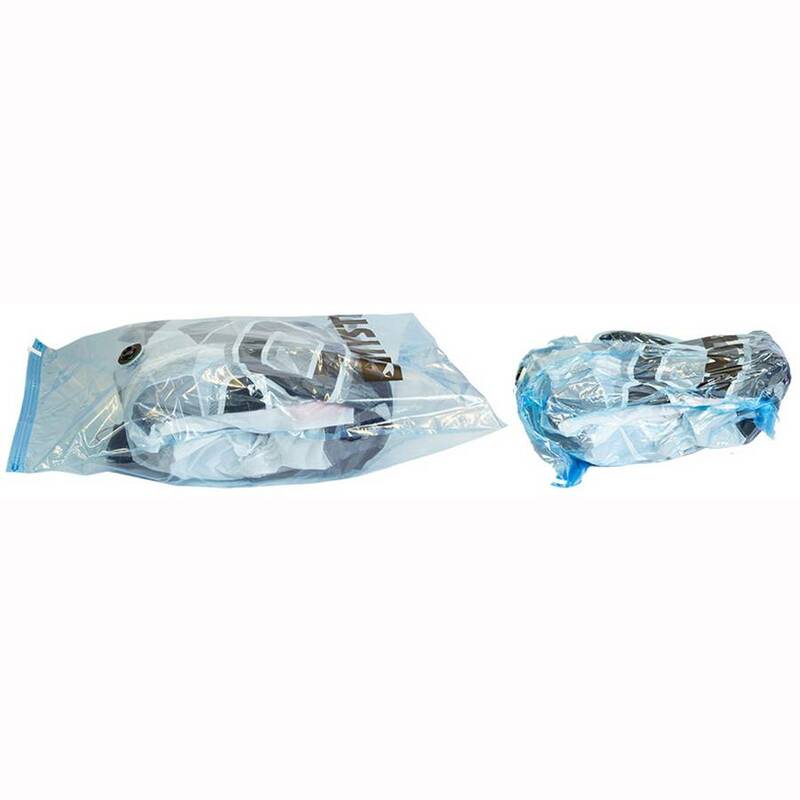 The extra strong and durable kite compression bags are designed specifically to make kites up to 16m2 (even bigger foil kites) fit into travel bags and provide extra protection from damage, dust, dirt and moisture. Solve all your storage problems - when going abroad or when at your local beach. Store your kite or accessories and then vacuum pack it down with the mini pump included! Take two kites on a trip in the space of one. Easy to compress your kite for travelling on the way home even when wet. Save weight using a smaller travel bag. 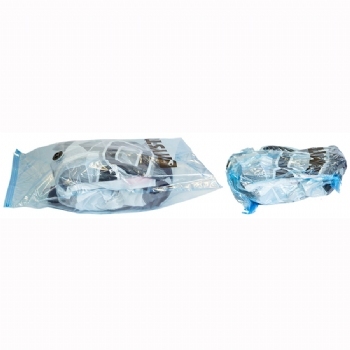 2 x kite compression bags, made of extra thick durable plastic, size 70cm x 100cm with a lockable one way valve.